These much anticipated set has finally arrived. 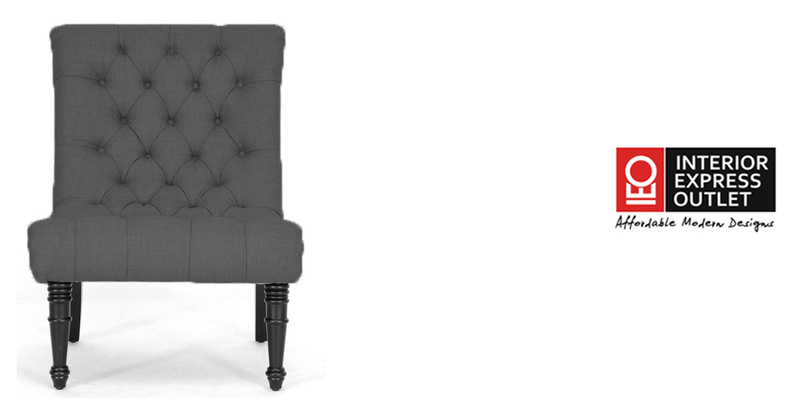 We loved them in beige but they are even more fantastic in gray. Both featuring linen fabric and silver tone metal nail head trim. The chair is priced to sell at $158 and you cannot beat the bench at great low price of $286. These products are so new that they aren't even on our web site yet. 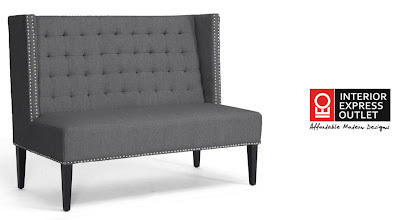 Stop by Interior Express Outlet in Bensenville IL to check them out, you will not be disappointed. 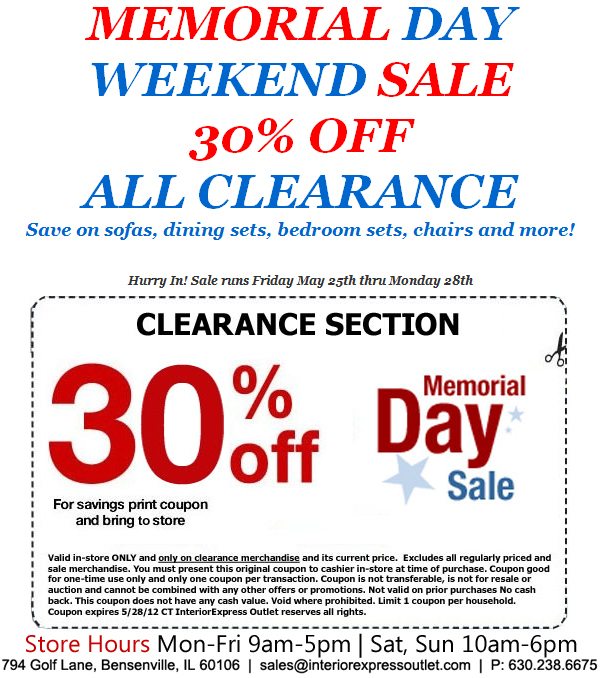 Starting this Friday Interior Express Outlet is having a Memorial Day 30% off clearance section SALE! The sale goes through Monday so do not miss your chance to pick up some of the best deals in the Chicago land area! We have one of the biggest clearance sections around so you are guaranteed to find something you like. 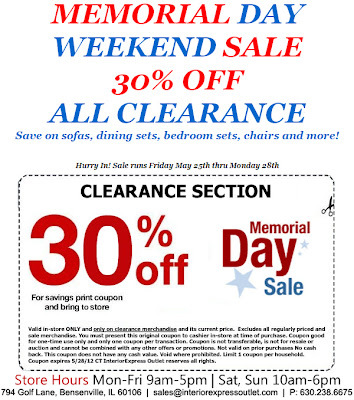 Take a look below at a few of our great sale items! 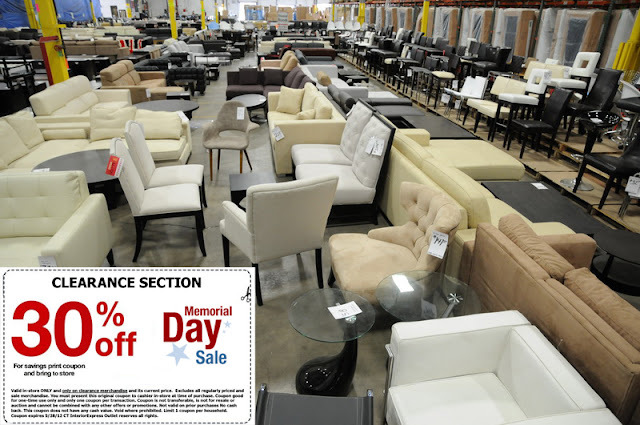 Interior Express Outlet is a discount furniture store located inside a 130,000 square foot warehouse. The outlet store features over 500 products, most of which are available for viewing. Opened in 2002, Interior Express Outlet is a privately owned company serving the local Chicago land area. 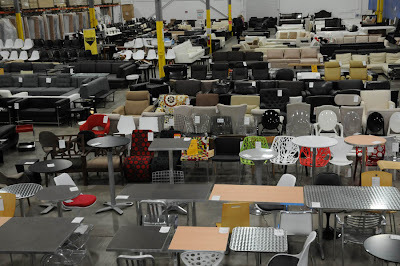 When visiting the outlet store you will see amazingly low prices on everything furniture related, from home theater seating to bedroom sets. Are you looking for a retro feel without the musty smell? Within many modern furniture designs there is a nob to the good old days. At Interior Express Outlet you can find direct replicas of our retro favorites or new styles with a flair of the past. 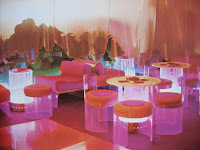 One of my favorite retro inspired pieces is Interior Express Outlet's Red Modular Sofa and Ottoman Set. I have to let you know that you would need a young pair of knees to be getting in and out of the sofa set everyday. If you are looking for a fun and funky sofa for you retro place, or a playful and hip piece for your basement entertainment room, you have found it. 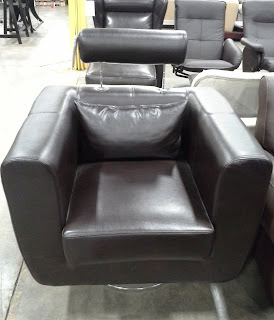 There is a set sitting on our showroom floor for $899, you can not find a better deal than that.